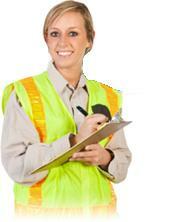 We are the one-stop shop for all your Health & Safety requirement. In today's highly regulated and legislated environment, it's never been more important to make Health and Safety an integral part of everyday life. 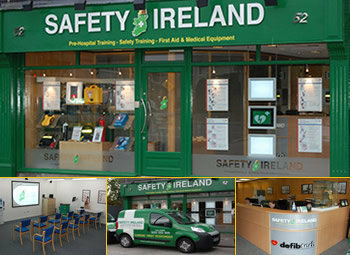 At Safety Ireland First Response, we have everything you need to create for Healthcare & Safety – expert advice, full Safety Training, Risk Assessments, Safety Statements, Medical and Safety equipment. We provide our training both in-house or at our state of the art training centre in the Terenure. Some of the training courses we offer include Manual Handling, Occupational First Aid, Fire Safety, Health and Safety for Managers, Irish Heart Foundation Provider and Instructor Training. 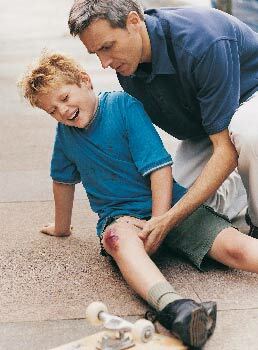 All our staff are fulltime and experts in the field of Healthcare & Safety. This means that we can bring realistic training, relating real life events to the class room situation. 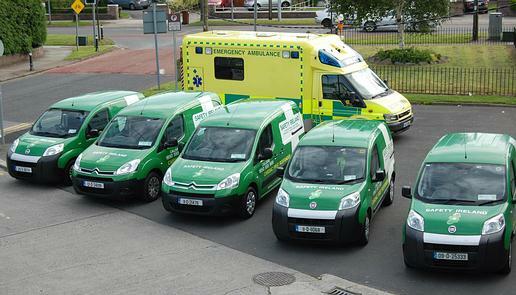 With full recognised Instructors by the Irish Heart Foundation, Pre-Hospital Emergency Care Council, Health & Safety Authority, and other national and international organisations. You can book any of our courses for your workplace or group just contact us. We can arrange courses at times to suit your needs, at your location or at our training centre in Terenure, Dublin. Or just join one of our open courses. Our training centre is located in Terenure Dublin 6W just off the M50. So you want to be an Instructor? 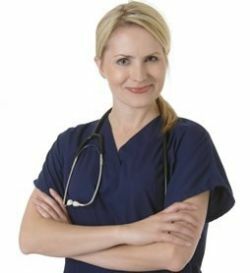 We provide Occupational First Aid Preparation, Irish Heart Foundation, Pre-Hospital Emergency Care Council Instructor training. If you are currently doing Instructor training and need to attend courses to assist or be monitored, due to the large number of courses we run each week, we can help. The provision of automated external defibrillators (AEDs) in workplaces to assist in the prevention of sudden cardiac death should be considered. As mentioned in the Introduction, early defibrillation using an AED is one of the vital links in the “Chain of Survival”. Ideally, wherever there is an occupational first aider(s) in a workplace, provision of an AED should be considered. The training of other employees who are not occupational first aiders in the use of AEDs is also encouraged. 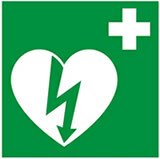 Whereas it may be practicable and desirable to have an AED in every workplace, due to cost considerations it would be unreasonable to expect all employers (especially small and medium size enterprises (SMEs)) to have one on their premises, even if there is an occupational first aider present. These costs not only include the purchase price but also the vital cost of maintenance of the equipment and regular refresher training for those trained in how to use AEDs. However, different employers at the same location, such as in shopping centres, small business enterprise centres etc., where relatively large numbers of employees or other persons are likely to be habitually present, might find it feasible to co-operate in the provision of shared equipment, training and assistance.